"LIKE" www.facebook.com/ligia.fiedler.blog for immediate access to the latest home design trends & traveling news! Prince Gallery Tokyo Kioicho is the capital city’s first luxury hotel. This hotel was created to give locals and visitors a haven inside the crazy city, a place to unwind and relax in luxury. 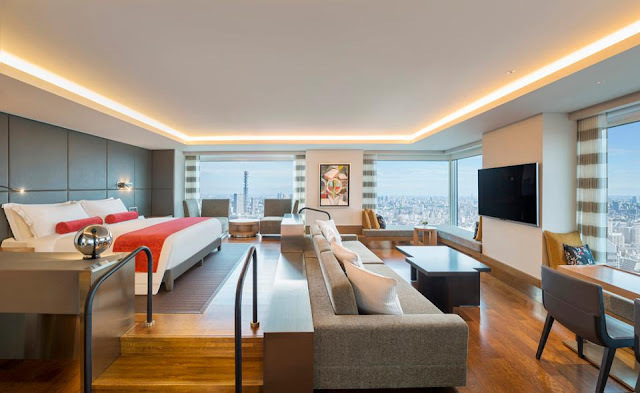 The Prince Gallery Tokyo has 250 guestrooms, including 11 premier suites, two bars, two restaurants, and a beautiful skyline spa with a swimming pool. The hotel takes up seven floors of a tower, the Tokyo Garden Terrace located in Chiyoda municipality. The tower houses restaurants, stores, residences, and offices. On the top of the hotel, guests are offered panoramic views of the surrounding gardens and parks, Mount Fuji, Tokyo Tower, Shinjuku city, and the Imperial Palace. The world’s first 365 days ice hotel is located in Jukkasjarvi, Swedish Lapland, about 200 km north of the Artic Circle. 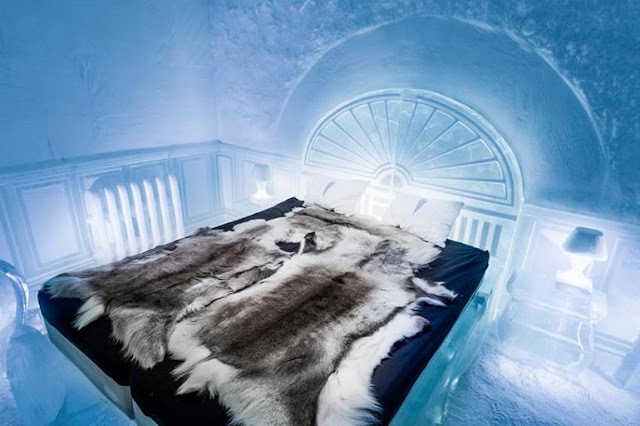 The 2,000 square meter hotel have an ice bar and ice gallery created out of ice and snow by chosen artists from around the world, as well as, luxury suites. The beautifully designed hotel is created out of 30,000 liters of water from Torne River that were transformed into snow and ice. Four Seasons fans who love hitting the slopes will soon have a place to lay their head on when the brand opens two luxury hotels in one of the mountains of Europe. Four Seasons Hotel and Resorts has recently announced plans for its first mountain destination, which is scheduled to open in late 2017. 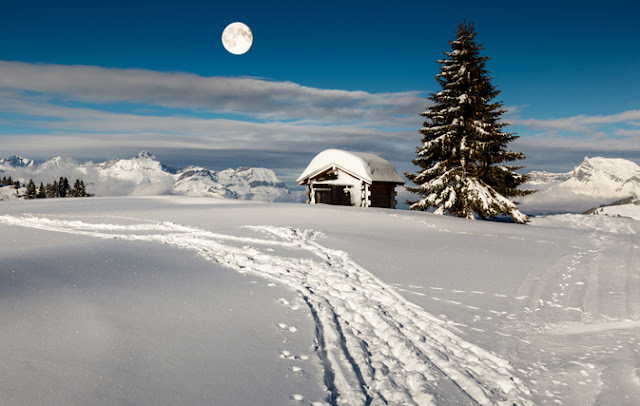 Located in Megeve, France, Four Seasons Hotel and Chalet du Mont d’Arbois will be set in the middle of the snow-capped peaks of the Haute-Savoie Alpine range. The Four Seasons, Megeve will have 55 guests’ rooms in the base of the French Alps Mont d’Arbois, as well as a collection of renovated traditional chalets in the heart of the village, close to the main gondola. As a perfume enthusiast, I love when as much thought is put into the design of the bottle as the alchemy of the perfume itself. After all, perfumes are meant to be displayed and seen, especially so that you don’t forget to use them like I do. I don’t think that would be a problem with Xinú, a bespoke perfumery line from Mexico whose bottle design was a collaboration between Esrawe Studio, Cadena & Asociados, and Nouvel Studio. An elegant and minimalist object on any vanity, the bottle for the line was inspired by sculptures of Romanian artist Constantin Brâncuși, geometry in nature, and is formed with two domes placed on top of each other. 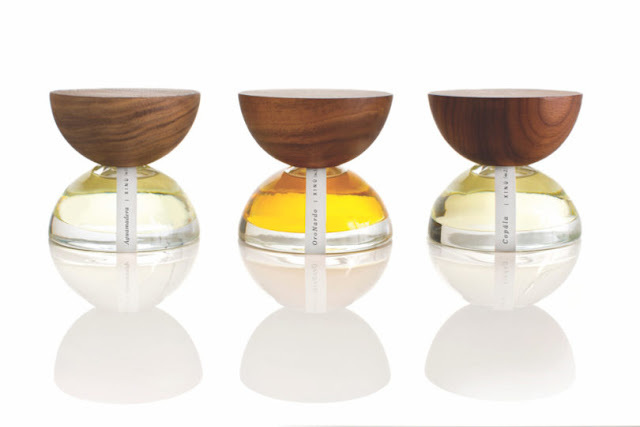 The top lid is handcrafted with certified woods, a reflection of the essence of the perfume line, which is based on the aromatic and botanical scents of the Americas. 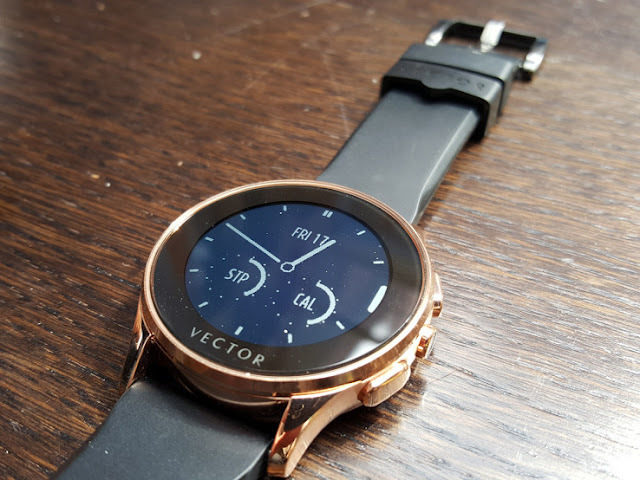 Only a year later, Vector has been acquired for an undisclosed price by global wearable giant Fitbit. Founder and CTO Andrei Pitis confirmed to TechCrunch that the company was acquired for its software platform and design team. This does not, however, signal a move into the luxury smartwatch sector by Fitbit. 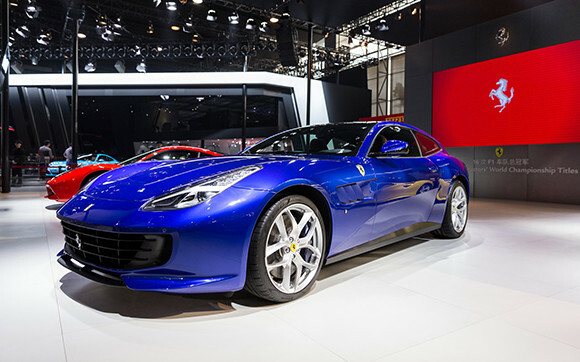 November 18th, 2016, Guangzhou — Representing a groundbreaking new Ferrari GT concept, Ferrari celebrated the China Premiere of the new GTC4Lusso T at Auto Guangzhou today. The first ever four-seat creation from the team in Maranello to be powered by the acclaimed V8 power unit, the new GTC4Lusso T offers an even wider variety of driving enthusiasts the opportunity to experience the unbridled thrill of the Prancing Horse. Ferrari performance, elegance, versatility are now compatible with the daily driving needs of four. With the finest in automotive workmanship, the legendary marque has proved Ferrari remains the preeminent super car manufacturer in the world and its most steadfast commitment to the China market. The latest Ferrari to capture the vibrant Italian spirit, while still offering the best-in-class performance that has become the hallmark of the famous brand, now is available in China at the price of RMB 3,588,000. Trophy homes were not adversely affected even when the global economy went into a downturn. Now with the real estate market looking up more such homes are coming on the market. A potential record breaker is the opulent 20,000 square foot mansion that boasts of sweeping views of Central Park and the Manhattan skyline. The asking price has been set at $114 million. 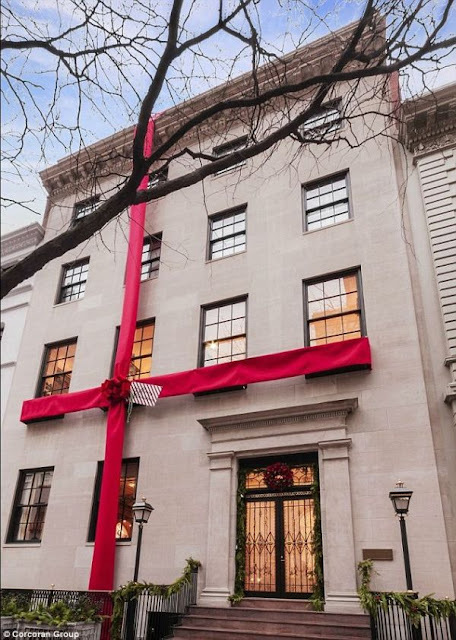 The six level house has been wrapped in a bow for Christmas. The interiors of the mansion have been inspired by Palace of Versailles, the castles of Italy and even a media room based on the owner’s favorite movie-theater in Queens, New York. All the 19 rooms in the mansion including seven bedrooms have been decorated with the finest European imported materials. Design can exist without "the research." But if we don't study the world, we don't always know how or what to create. On this blog, you can find artistic solutions to Interior Design, specialising in design, re-arranging, art decoration, wall art, etc There are no limitations in front of you. Let what’s inside of you inspire you. You will rise with the end result and triumph with an exquisite masterpiece.